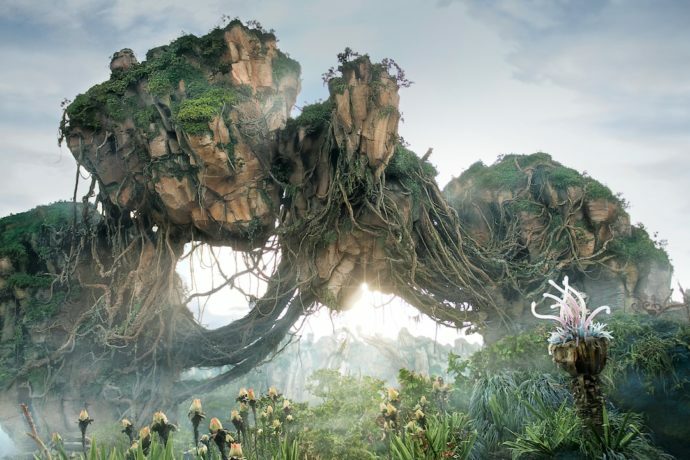 Disney is pulling out all the stops today, highlighting different aspects of their new immersive land, Pandora – The World of Avatar, on various television shows on ABC. 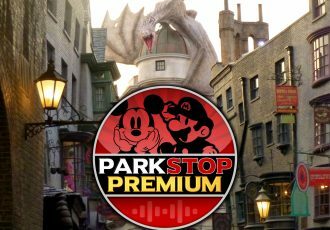 We’re seeing some things for the first time, including some of the foods from the new land, what the 3D Glasses will look like on one of the new rides, and extended footage from the land in both the daylight, and at night! 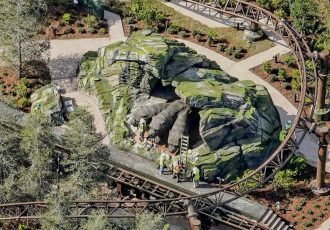 The new land is scheduled to grand open May 27, 2017 in Disney’s Animal Kingdom. First, Good Morning America took to Pandora with the film’s producer Jon Landau. 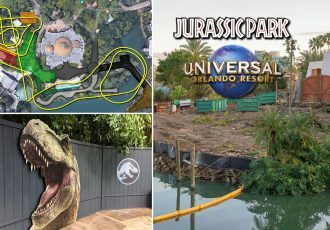 They got a great look at the floating mountains, waterfalls, real and fake plants, a sampling of food and drinks, and a quick glimpse into the preshow, ride area and 3D goggles for the Flight of Passage attraction, where you get to ride a flying banshee. 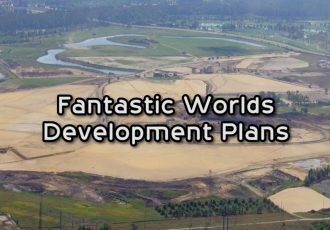 The segment hints that the new land is not only based on the original film, but will contain elements from the four upcoming sequels. Next up was ABC’s The View, which is taping live at Walt Disney World all week. The View co-host Whoopi Goldberg chatted with Director James Cameron as they walked through the Valley of Mo’ara, under floating mountains, and surrounded by exotic plants. Cameron discussed how the idea of a world filled with bioluminescent plants came to him in a dream when he was just a teenager. The segment showed some of the most amazing shots of the land at night we’ve seen so far. 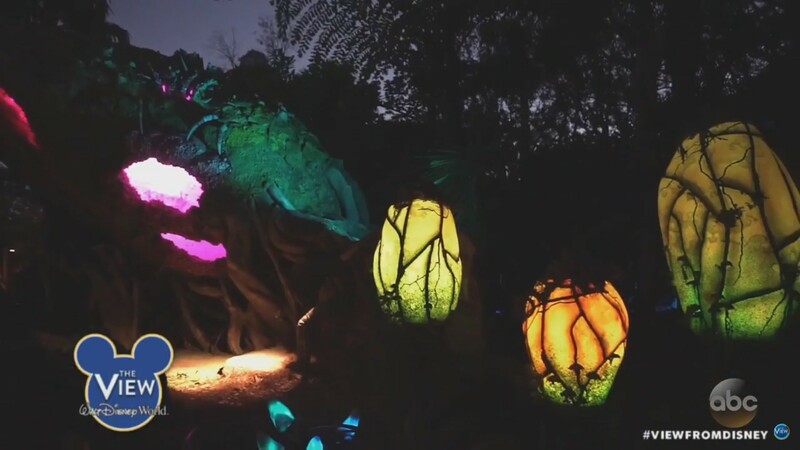 Whoopi also got to ride the Na’vi River Journey and we got ourselves a good look at a Viperwolf as well as an assortment of incredible bioluminescent sets and effects. 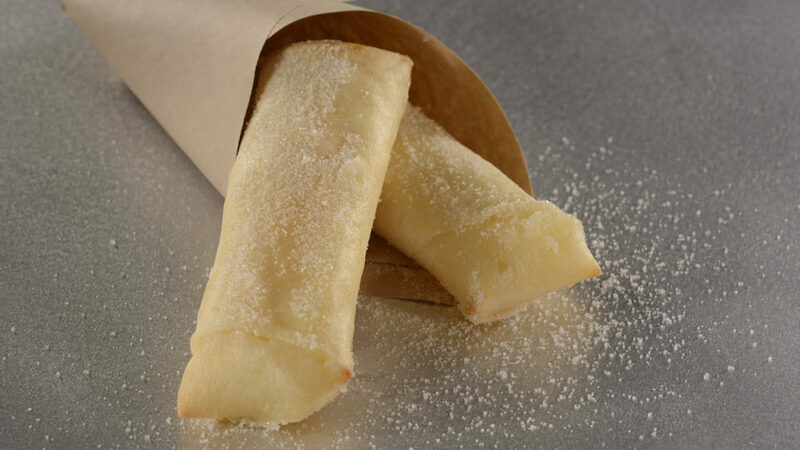 After that The Chew chowed down on a Lumpia snack from Pongu Pongu, a food and drink stand that will be located in Pandora – The World of Avatar. 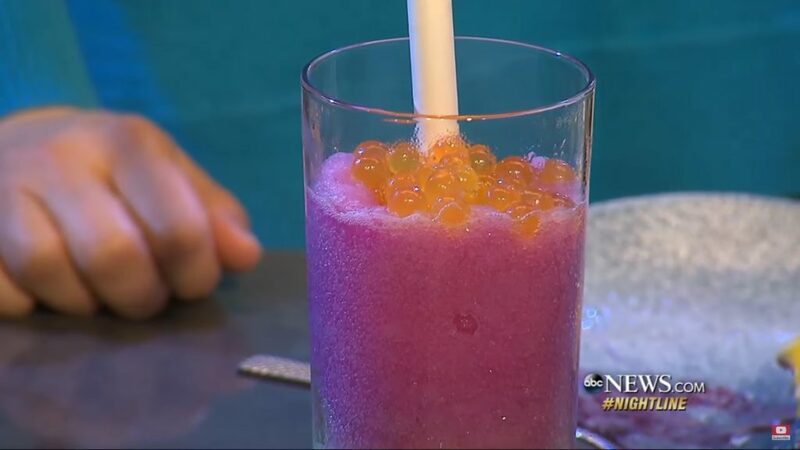 They say the snack is Chinese of origin and is a popular street-food snack in Indonesia and the Philippines. Usually filled with meats and offering a more savory taste, this sweet version contains pineapple and cream cheese instead. The Chew co-host Clinton Kelly described it as “pineapple cream pie in an egg roll.” Pongu Pongu means “Party Party” in the language of the Na’vi. 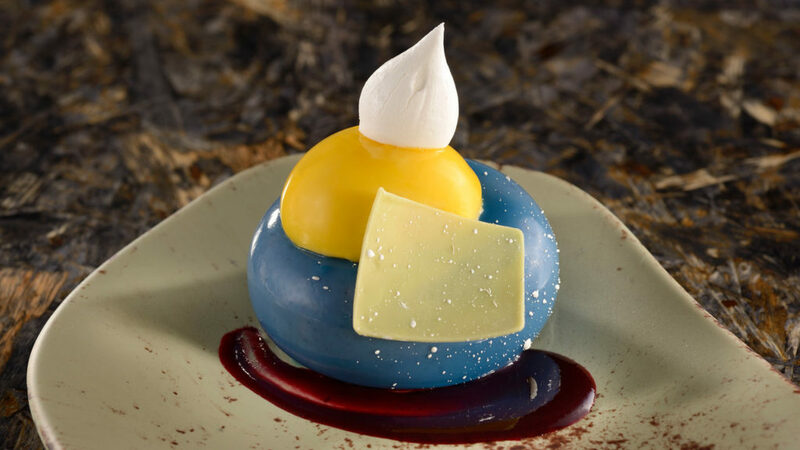 It will offer one-of-a kind drinks and snacks in Pandora. 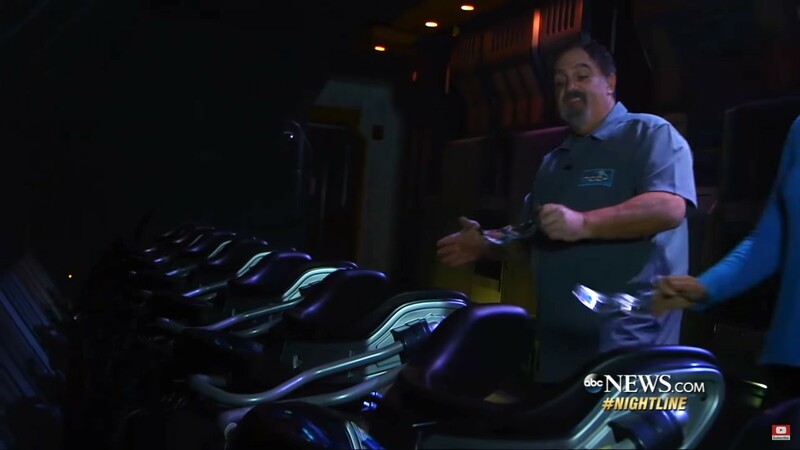 And finally, Nightline from ABC News gave us our closest look yet at the ride vehicles for Flight of Passage. 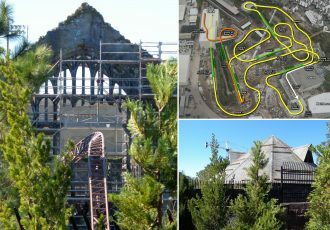 They covered some of the same ground as the other segments, showing off the floating mountains, exotic plants, and some of the food and drink. 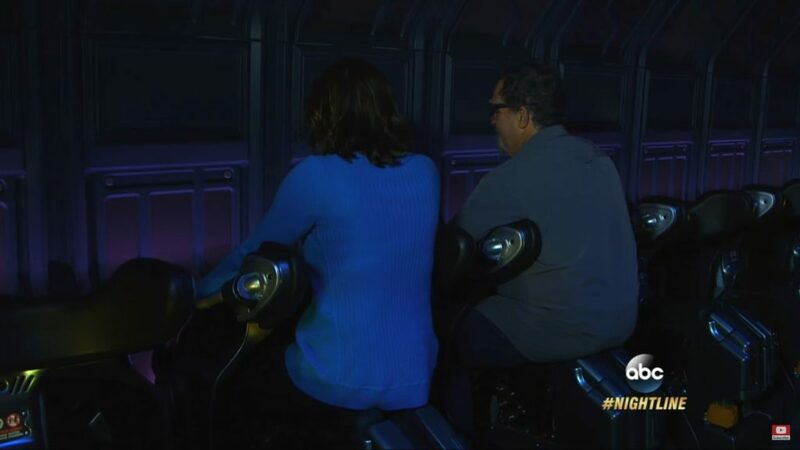 But, we also got our best looks at the Na’vi River Journey as well as the ride seats for Flight of Passage.